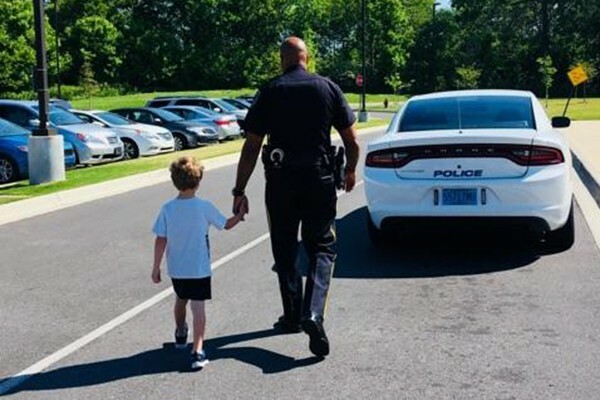 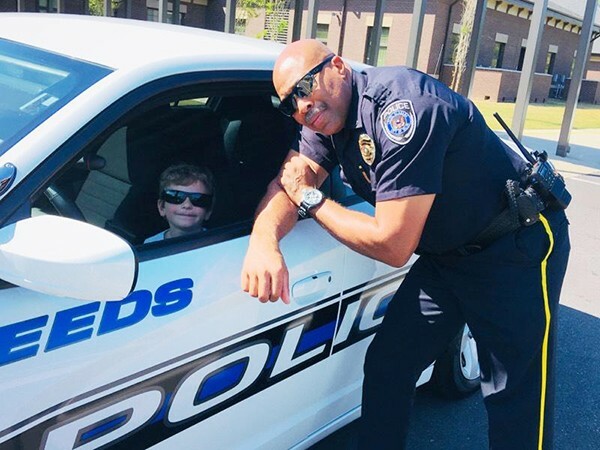 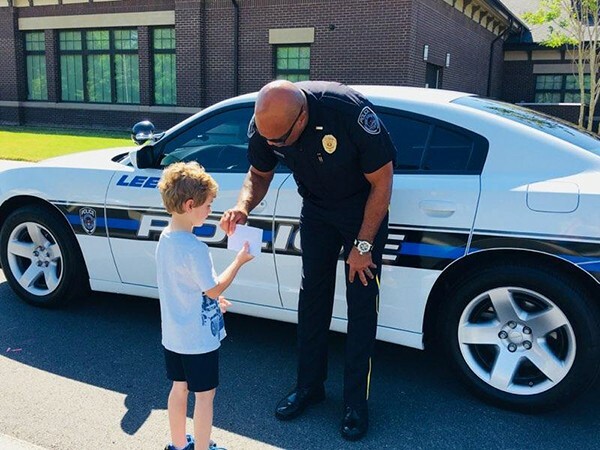 One Young Man Learns About Police Work | Lieutenant Wilbur Griffin with the Leeds Police Department is teaching one young man about police work at Leeds Primary School. 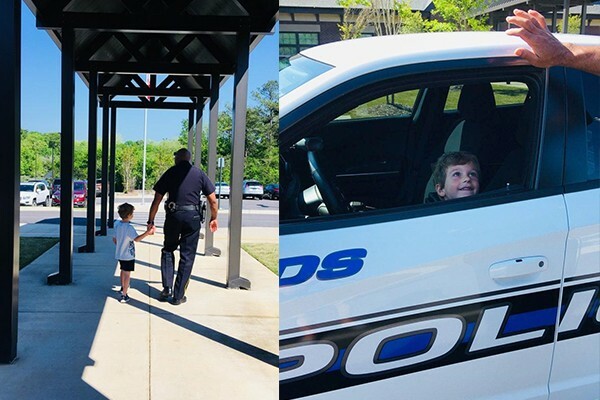 Collier Cisco’s dream is to be a policeman. 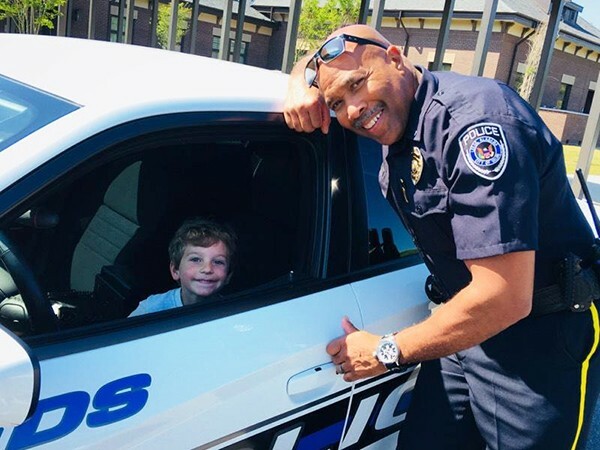 Collier had the opportunity to talk to Lt. Griffin about his dream, see the inside of a police car and sit in the driver’s seat.